2º also is there anyway to add a new line after the eld (putting a fuse between the battery fuse and new line) so that this can read the intensity of this new line? how could i do? what wire do i have to use? the pictures dont really help with whether or not fuse boxes are interchangeable. but in general a fuse box is just a single location for a collection of fuses. 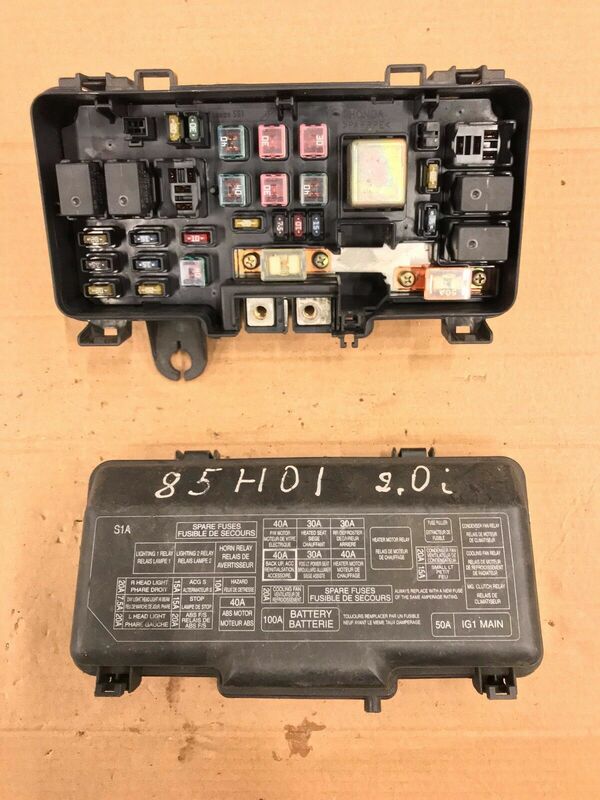 you can buy generic fuse boxes that are not car specific. they are fairly common for updating classic cars that took tube fuses originally. So will it work more than likely it will. how difficult it will be to replace could be a different story. It seems there may be a language barrier. but it seems like your first question is whether you can use your abs plug to power the radio. If that is what you are asking, then no. the second it seems like you are asking if you can by pass the eld by running a new fused wire. The answer to that is also no. The eld reads the power the car is pulling and adjust the alternators output accordingly. as long as something is run off of the same system it will be effected by the ELD. there are ways to build stand alone systems but its expensive, a lot of work, and the accords dont have much room for multiple alternators. but my car doesn´t need all the connections because it´s older, so i have empty sockets why can i use the empty connectios for my extra instalation like amplier, gps... this way eld use the intensity of this connections? doesn´t it? I was not trying to be mean about the language. I hope it didnt seem that way. The eld reads the system as a whole. it doesnt cut voltage for just one certain items, it lowers the output of the alternator bringing all voltage down. It does not bring them so low to damage most electronics. So you could still use the system to run other things. I would suggest if running an amplifier to run a new wire with its own fuse. Do not go through the fuse box. also the alternator reads the amperage draw on the system and cuts it when it safely can. If the car needs more amperage the alternator will supply it. There is a thread that is a bypass for the ELD. but it is technical and the language barrier could be an issue. I dont know much about it. The guy who posted the thread is really the best bet, he still gets on now and then. I have an ELD bypass thread as a Sticky. I recommend referring to it. The ELD only monitors current on the ignition fuse that feeds the vehicle dash/interior. But that fuse is fixed and adding a lot more onto it would melt the fuse box. My bypass is a safe way to eliminate the PCM from turning the alt off. Let me know if you have questions with my diagrams. Reverse lights out...fusebox relay diagram?